As usual, the new year brings with it the cold chill of Winter, and sometimes the only cure for the gloomy weather is to stay inside for a cosy night in. The ultimate winter warmer? A bath! Here at The Amazing Blog we adore using products to make our baths more luxurious and relaxing. Here we've gathered our favourite bath products to perfect your bathing routine. The first option is a natural treatment by the brand Oat Soak, this product is a bath treatment made from colloidal oats. Oats are a great treatment for soothing itchy skin and restoring smoothness. However, raw oats aren't the easiest thing to add to a routine, which is why Skin Shop has developed a solution. Oat Soak is made from a finer form of oats, making Oat Soak a pleasant spa treatment in your own home. We recommend sprinkling the oats into your bath tub whilst running the water and separate this evenly and then soak for 15-20 minutes. To achieve best results use this product once a week and your skin will regain moisture and strength. For a relaxing bath treatment at home grab this product here for £1.95. We love bathing here at The Amazing Blog, and a therapeutic bath is even better. How great would it be to have all the effects of a spa at home? Atlantavive has done it with its Ocean Oak Bath Soak . The Ocean Oak Bath Soak has a curative power thanks to its natural properties and traditional methods coming from West Irish Coast. 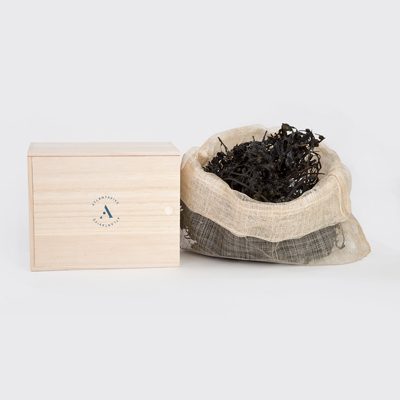 Opening the wooden box, you will find 400g of Ocean Oak brown seaweed in a hand crafted Sinaway Soak bag. This cute package offers so many benefits for your skin directly coming from the nourishing and healing qualities of the ocean. The seaweed will not only give a golden colour to your bath but will also help in alleviating eczema, inflammation, skin burns, insect bites and remove your skin’s toxins. It also claims to diminish wrinkles, dryness and fluid retention. This 100% organic skincare product is not only great for its consumers but for the environment as well, as the natural reproduction of all ingredients is respected. Additionally, you can repeat this relaxing experience for 2 to 3 times with the same pack! Get your Ocean Oak Bath Soak spa treatment from Atlantavive here for £25.53. When enjoying a bubble bath it is nice to add a little bit of luxury. These products are perfect, especially if you have had a long week of work. Bath salts and a relaxing body oil are all you need to achieve bliss, and 100 Acres Apothecary have some lovely offerings. The first product we received from this brand was the Peppermint and Fennel Bath Salts. They smell gorgeous, and from the outset you can smell the peppermint oozing in the products that are all all made in the English countryside. If you need to relax the body and mind, this product will help you to pamper yourself. For an added treat, use the Lavender and Jasmine Bath and Body Oil, which smells lovely and aromatic. The oil is comprised of natural botanicals and essential oils, which will leave your skin intensely nourished and soothed, resulting in baby-soft skin. Relax the mind and body with these two gems from 100 Acres. You can get the Peppermint and Fennel Bath Salts here for £16.00, and the Lavender and Jasmine Bath and Body Oil here for £20.00.